I'm using Android-x86 4.0.3 Ice Cream Sandwich and Windows 8 Developer Preview to set up dual boot system on my netbook HP mini 210. If you think it's risky dual booting Android-x86 could mess up your existing primary operating system, install Android on USB flash drive or Virtual Machine are the alternative option. Of course, Android will have better performance on actual machine compared to those alternatives. 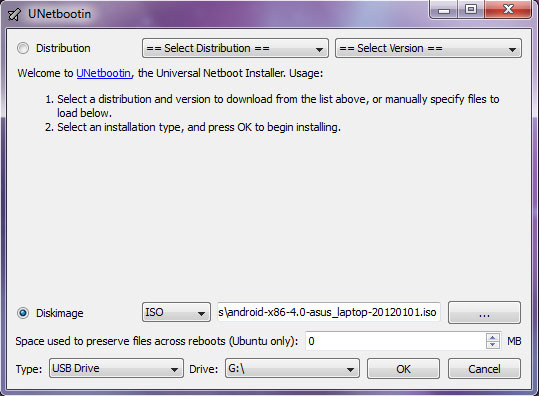 Open UNetbootin, choose Diskimage, browse and select the Android-x86 ISO file, make sure it has the right USB drive, then click OK.
UNetbootin will starts creating a bootable Android-x86 on your USB flash drive. When it's done, click Reboot Now. Press the appropriate keyboard button to enter BIOS boot sequence menu. Change the USB drive to boot first. When you done, press F10 to Save & Exit. Your computer will boot your Android-x86 USB flash drive. GNU GRUB boot loader appears, select Installation - Install Android-x86 to harddisk. 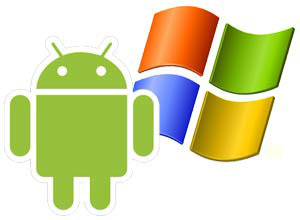 You arrived the Partitioning Tool page, choose the partition you want to install Android-x86. The naming of partitions for Linux is different from Windows. e.g. sda1 = 1st partition, sda 2 = 2nd partition, sda3 = 3rd partition. So you have to be clear of your hard disk partitions. The installer should have detected you have Windows partition, choose Yes to create a boot item for Windows. Choose Yes to install GRUB boot loader. Choose Yes to install /system directory as read-write. Create a user data image. The default 512MB will be sufficient. After the installation is completed, it's optional to create a fake SD card. I recommend it's better to create a fake SD card. 2GB is the maximum value you can create. Everything is done. 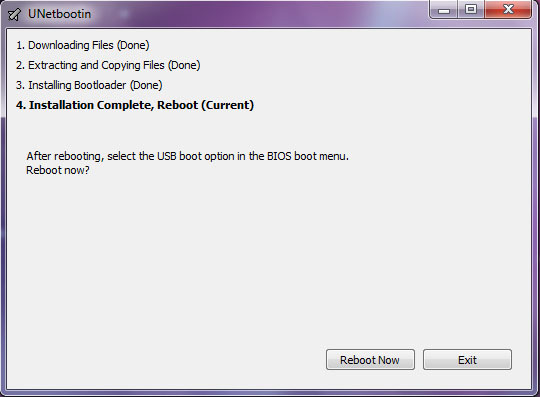 Select Reboot and go to BIOS boot sequence menu to change hard disk back in first boot order. Then Save & Exit. Your computer will load the GRUB boot loader with 3 options — Android-x86, Android-x86 (debug mode), and Windows. You can remove Android-x86 and GRUB boot loader by following the guide here. does it mean that,if the usb driver is not inserted on the usb port,it will boot normally as windows or linux or mac operation system..?? Yes. If the computer can't find any bootable drive on USB port, it will skip to boot the Operating System (Windows) inside your harddisk. I have installed this on Acer Iconia W500 touchscreen. Works great but the touchscreen doesn't work. Is there a patch or work around for this! when choose Android-x86 in GRUB appears ERRO15: File not found, then don't run Android-x86 but is fine in Windows, what can i do? Have you gotten the wifi working on android-x86 on hp mini 210. I am having problems with it. 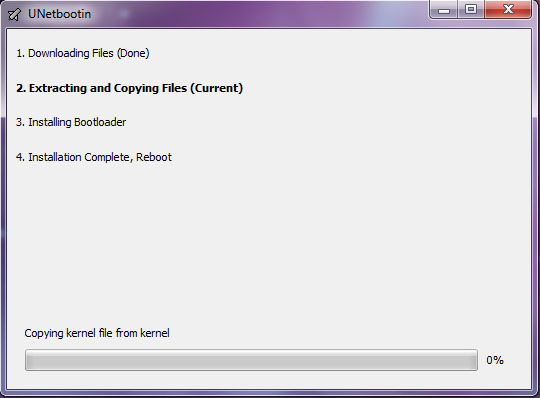 Right now I think I have to recompile the kernel just to get things the wifi driver from an earlier kernel to work? I could really use some help. Just wondering if you have had any luck? The wifi is not working on my hp mini 210 as well. Android-x86 still not fully supports all hardware. I just only get the wifi working on Virtualbox with another Android 4 ICS disk image. I have no luck getting the wifi to work on my HP mini 210 as well. grub can't find the file it wants because it is looking into wrong location. I suggest you to remove Android-x86 and grub loader first. Some folks got the touchscreen works if booting Android without putting on the dock keyboard. If it doesn't work, there is a workaround for touchscreen issue I found. You can check it out here. Hopefully the touchscreen will work. When I start the browser, open all the pages in black, you know why and how to solve? Hi Rui, compile kernel could have your internet connections work on Android. I have not set up my own build environment yet. If you're will to experiment it, read this guide to get source and compile kernel. android-x86-4.0-RC2-eeepc.iso distribution on my netbook ASUS 1015PN with Intel Atom 1.6, nvidia 1gb dedicated, and windows 7. The procedure was easy, but when Android boots it runs extremely slow, delayed mouse movements, delayed clicks ETC super slow. So isn't that the right distro to use with Asus 1015pn EEE PC and shouldn't it runs super fast with such specs compared to mobile handset? Help would be appreciated. How do I uninstall but keep GRUB? I recently installed Android-x86-rc1-Asus_laptop on NTFS partition in windows (sda3) on my Advent Verona laptop which already runs Linux Mint 11 and Windows 7! i couldn't boot into Mint after I chose to install grub from Android but I fixed it and was able to boot into Mint! however, being able to boot Mint meant i could not boot into Android too. i followed some instructions on making grub for Mint identify Android through editing a certain text file with gedit...which worked! But my problem is that although I see all three os on grub for Linux mint now and I can load both W7 and Linux Mint, I CANT LOAD INTO ANDROID! I think there is an error as screen reads "VFS could not find a valid V7 on sda3" and "not tainted 3.0.0 android x86 asus_laptop"
Fun thing happened i put it on a live usb and went from there and replaced my bootrom with grub by mistake had to replace, BUT if you do it through VMWARE, then it works for usb. hey is this working on Aceh aspire one with windows 7?